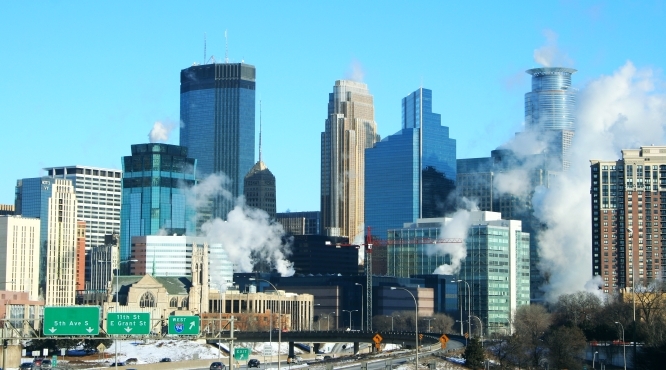 A perfectly crisp and beautiful morning in Minneaplis. Wish we could say this is the view from our apartment. It’s not. It is taken only a mile down the road though!